Even with problems in one shoulder, Harden forced to put on his 30-game streak with at least 30 points. Doncic, very lonely in Dallas. The Mavericks are definitely Luka Doncic's team. 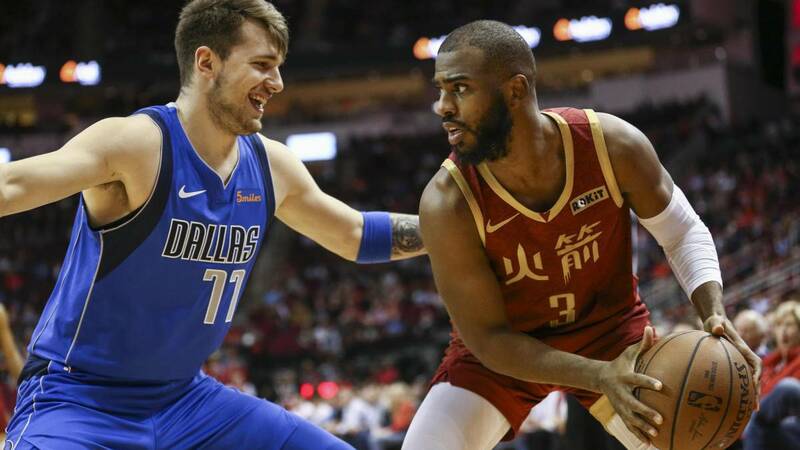 There was no doubt in view of the performance of Slovenian in the first half of the season, much less after all the rest of the starting line-up was traded: neither the dirty work of DeAndre Jordan, nor the too cold doll of Harrison Barnes nor the Explosive penetrations of Dennis Smith Jr., in Dallas there is Doncic and the promise of a better future, with Porzingis already in the bedroom. But one thing has not changed: the team is still very competitive in its track (20-8) and very weak at home, where (6-22) is the fourth worst in the entire NBA and only beats Suns, Knicks and Cavaliers. The last loss outside of Dallas came in Houston (120-104) against some Rockets who had won in their previous two games. This time the victory was never too close to shot in a game in which Doncic finished with 21 points, 10 rebounds and 8 assists. He has 10 consecutive games scoring more than 15 points, but this time he was very lonely, with also rookie Jalen Brunson as best company while Tim Hardaway missed almost everything he threw (3/11 for 10 points) . The heart of the duel, in fact, it was to see if James Harden extended or not his run of games followed with at least 30 points. He did (finished with 31) and has already put the mark at 30, to one of the second best record ever, which is from a Wilt Chamberlain who also has the first with 65. Keywords. It was, in any case, one of those games in which we can ask ourselves if these records are really so important. Yes for a tier that ended between shouts of "MVP" for Barba, perhaps not so much in the face of the future of a team that, yes, is already fighting the fourth place in the West to the Blazers (33-23 the two). Harden, the player who spends more minutes on the track of the entire NBA (37.4 per night), approached those figures (played more than 36) although he played visibly uncomfortable with a problem in the left shoulder dragging from the previous game, against the Thunder. Despite this, and with the victory almost assured (106-90 almost in the equator of the last quarter), Harden returned to track and linked 11 points in the last two and a half minutes to go from 20 to 31 and keep his record alive, thanks finally to a triple in step back, home record, against Finney-Smith and with 53 seconds remaining. For that the Rockets played the last attacks and that was achieved, although Mike D'Antoni himself later recognized that the shoulder had given war to a Harden that besides the record and everything else he added 8 rebounds, 7 assists and 5 steals. Los Rockets threw 60 triples for 30 two-pointers (19/30) . Chris Paul finished with 17 points and 11 assists, Eric Gordon with 18 points, Green with 19 and Faried with 17 and 8 rebounds. Between Harden, Paul, Gordon and Green they threw 48 three-pointers and secured a Rockets-style win over a rival who had resisted them until now. On Thursday they play in Minnesota and after the All Star start a hard section of the calendar that will define how they position themselves for the playoffs. Its true objective, after all.